NEW HAVEN, CT – Dr. Daniel Colón Ramos, a Puerto Rican scientist, associate professor at Yale University and a co-adjunct professor at the Institute of Neurobiology at the University of Puerto Rico, was selected last month to receive two important recognitions from of the National Institutes of Health (NIH), one of the leading scientific agencies in the United States. The first prize given to Dr. Colón Ramos is the NIH Director’s Pioneer Award, which supports highly innovative scientists who lead bold research projects with an exceptionally broad scientific impact. The prize is awarded in recognition of the advanced studies carried out by Dr. Colón Ramos in the area of ??neuroscience. The second prize received is the Landis Mentoring Award for Outstanding Mentoring, a new award that recognizes excellence and leadership by professors who have distinguished themselves by training new scientists and serving as mentors. In the ten years that Dr. Colón Ramos has been a member of the faculty at Yale, he has trained 27 scientists, most of whom have continued into impressive careers related to science. Altogether, the prizes reach a sum of $3.6 million, which Colón Ramos will use to continue his research in neuroscience, specifically to understand how the brain works and how memories are formed. The grant will also be used to promote the professional development of future young scientists in his laboratory. Dr. Daniel Colón Ramos was raised between Barranquitas and Guaynabo, Puerto Rico. He completed his baccalaureate at Harvard University, his doctorate at Duke University and his postdoctoral training at Stanford University. His laboratory at Yale University studies how brain cells, neurons, make precise connections—called synapses—with each other and how that architecture serves as the basis for the behavior of animals and humans. Outside the lab, Dr. Colón-Ramos has also sought connections, specifically between scientists and Puerto Rico. He is trustee of the Puerto Rico Science, Technology and Research Trust and co-founder and president of the Board of Directors of Science Puerto Rico (CienciaPR), the largest network of Puerto Rican scientists in the world and a non-profit organization that takes advantage of the knowledge of its rich and diverse community to democratize science, transform scientific education, and promote the development of young scientific leaders. “We are extremely proud of these recognitions that Daniel has received. Our organization is a living example of his innovative vision, and his commitment to the development of future Puerto Rican scientists and science,” commented Dr. Giovanna Guerrero-Medina, Executive Director of CienciaPR. President Donald Trump took to Twitter on Thursday morning to challenge the official count of the number of people who died in Puerto Rico in the aftermath of Hurricane Maria, which struck nearly a year ago. “3000 people did not die” in Puerto Rico, the president tweeted. The death toll from the Sept. 20 storm, a Category 4 hurricane, has been a point of contention between officials and residents who live there. George Washington University (GWU) researchers released the findings of an in-depth investigation commissioned by Puerto Rico’s government. They estimated 2,975 people died as a result of the storm. The president questioned that report’s credibility, insinuating that the count was a ploy by his political opponents and that it included people who died from causes unrelated to the storm. The tweets prompted a sharp rebuke from Puerto Rico Gov. Ricardo Rosselló, who called for recovery efforts to remain above the political fray. “The victims and the people of Puerto Rico do not deserve to have their pain questioned,” the governor’s statement said. Here is a brief look at the issue of casualties and Puerto Rico’s response to Hurricane Maria. Calculating a death count is not an exact science. Estimates are influenced by a variety of factors including the period analyzed and the definition of a disaster-related death, according to Columbia University professor John Mutter. The Puerto Rican government accepts GWU’s estimate of 2,975 deaths as the official count. Local officials had originally said 64 people died in Hurricane Maria, counting only fatalities directly attributable to the storm, such as drowning deaths or mortal injuries caused when buildings collapsed. During the summer they acknowledged that toll had risen to more than 1,400. The GWU researchers calculated their estimated death toll, which is about double that tally, by comparing the number of people who died in the six months after Hurricane Maria to historical averages in previous years. The university issued a statement Thursday, disputing Trump’s comments. The investigation was “carried out with complete independence and freedom from any kind of interference,” according to the press release. Prior to the GWU study, other researchers and one newspaper released estimates that also garnered media attention. One study, published in the New England Journal of Medicine, put the number of excess deaths at 4,645 in the three months following the hurricane. A studyby The New York Times used vital records from the government to calculate an excess of 1,052 deaths in the first 42 days after the disaster. Still, the numbers are important, said Mutter, who researches disaster management and worked on collecting the number of deaths in New Orleans after Hurricane Katrina. These death counts are a key way the public measures a disaster and perception drives donations for relief, he said. Why was it so confusing getting a death toll? 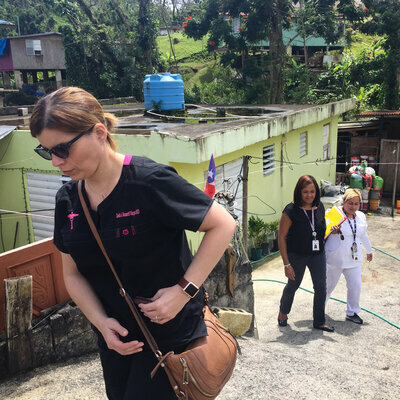 When Hurricane Maria made landfall in Puerto Rico, it devastated the island’s infrastructure, which can limit access to health care and impact mortality, especially among residents who are frail or dealing with chronic health issues. The storm knocked out electricity for the entire island, which took nearly a year to restore fully. At least 80 percent of communications towers were not operational, crippling phone services. Medical centers across the island relied on generators for power, which sometimes failed and jeopardized patients. Some medical facilities in Puerto Rico were irreparably damaged, like the only hospital on the island of Vieques, which housed its only dialysis center. Residents must now leave the island three times a week for treatment. Many roads on the island were impassable because of debris or erosion. Roads near rivers, like those in the mountainous, rural province of Utuado, washed away. Bridges also fell, leaving some communities isolated and unable to access assistance. Hurricane Maria also cut off drinking water to more than half of Puerto Rico. The lack of electricity meant water pumps could not work. Some people turned to other sources, like natural springs and rivers, for drinking water. At least 26 people died of leptospirosis, a bacterial infection caused by exposure to water or soil contaminated with the urine of infected animals, according to reportingfrom CNN and the Centro de Periodismo Investigativo, a nonprofit group that promotes investigative journalism. In addition to the physical disruption, the GWU researchers noted that officials in charge of certifying deaths did not have a process that automatically noted when a death was a consequence of the hurricane or its aftereffects. How did the federal government do in its response to Hurricane Maria? According to the federal government, not very well. 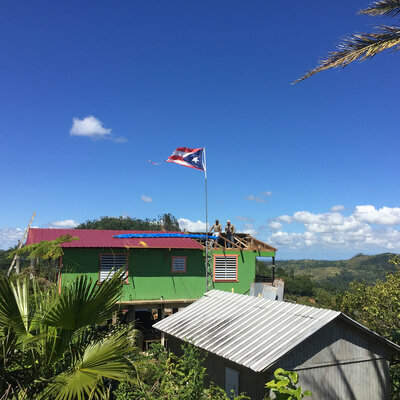 A report released earlier this month by the U.S. Government Accountability Office (GAO) details how the Federal Emergency Management Agency (FEMA) struggled to meet the needs of Puerto Rico and the U.S. Virgin Islands after the storms. The agency didn’t provide adequate staffing to the disasters on the islands, according to the GAO. It faced a 37 percent staffing shortage as of Sept. 1, 2017. Of the personnel deployed to the islands, some “were not physically able to handle the extreme or austere environment of the territories,” the report said. The lack of bilingual employees also led to delays since many Puerto Ricans speak Spanish. Transporting materials to the island was also an issue for the agency, as both islands are located more than 1,000 nautical miles from the mainland, the report said. FEMA Administrator Brock Long addressed some of those issues Tuesday in an interview on CNN. “We threw as much as we could towards Puerto Rico,” he said. He noted that FEMA is now the largest employer in Puerto Rico as repair efforts continue. What has the Puerto Rican government done in response to the death counts in Hurricane Maria? After the GWU findings were released, Gov. Rosselló changed the official death count and accepted responsibility for the territory government’s failure to adequately respond to residents’ needs. He also said he would form a commission to consider the recommendations suggested in the GWU study on how to improve the island’s response to disasters. However, how many changes the territory’s government can make remains to be seen. Puerto Rico’s purse is under the control of a fiscal oversight board put in place by Congress to address the island’s debt crisis, which stands at more than $70 billion. Today, we laid to rest arguably one of our country’s most notable war heroes, Sen. John McCain (R-Ariz.). The past week has been filled with a number of moving tributes and in-depth coverage of his legacy on the battlefield and on the Senate floor. While our political views differed in many areas, I gained a new level of respect for Sen. McCain the night he saved ObamaCare with a simple thumbs down. It is a gesture that now serves as a bookend for his Senate career and one that saved the health coverage for millions of Americans, particularly those with mental health and substance use challenges. While the rest of the country pauses to honor his legacy, many on Capitol Hill are already focused on undoing it by urging the governor of Arizona to appoint a senator to McCain’s seat who they can trust will repeal ObamaCare. While we are having no shortage of political issues that we need to mobilize behind, I urge mental health advocates to keep up the fight against those looking to strip away care that took more than a century and a half to obtain. Contrary to how it’s viewed, mental health is not a fringe issue. An estimated 44 million Americans experience mental health conditions every year and approximately 350,000 people die prematurely from mental illness and substance use. Furthermore, one in two individuals will be diagnosed with a mental illness or disorder in their lifetime, suicides are rising across the United States, opioid overdoses are the leading cause of death for people under 50 (one in five individuals struggling with opioid addiction can’t get behavioral health services and treatments) and depression is projected to be the leading cause of disability in the next 20 years. The economic burden to the United States for failing to adequately address this issue each year is a staggering $467 billion. The passage of ObamaCare marked the first time in American history that federal law mandated that mental health and substance use disorder benefits should be an essential health benefit along with rehabilitative, habilitative, and prevention and wellness coverage. It expanded parity protections, promoted the integration of behavioral health and primary care within delivery and payment system reforms, prioritized depression and substance use screenings as preventive services at no cost to the consumer, and provided other opportunities for behavioral health prioritization. This coverage victory was the result of a hard fought battle that started more than a century and a half before ObamaCare was passed. Dorothea Dix, teacher, activist and humanitarian, began a movement to advocate for health reforms to address the issues surrounding those with mental health challenges in the early 1800s. She spent years lobbying state legislatures to provide adequate institutions for treatment and care, until she determined it was only the federal government that could effectively carry this national crusade. Dix’s initiative eventually landed on President Franklin Pierce’s desk in 1854 where it was vetoed. And so the federal role in mental health care — extremely limited federal participation or non-participation — stood for a century until administrations starting in 1942 began enacting piecemeal legislation on mental health culminating in comprehensive care being granted by the passage of ObamaCare. We must not go backwards. If the GOP purports to care about the opioid epidemic and Mitch McConnell says they will be considering a bipartisan opioid bill in late September, then it goes without saying that keeping McCain’s legacy of saving ObamaCare is the only way to do this. There is no way that the GOP can be both for helping those with opioid addiction and for repealing ObamaCare. So, I call on mental health champions and regular Americans to channel the spirit of Dix and others. Definitely take this time to mourn the legacy of John McCain. Then get right to work on stopping those hellbent on upending the gains seen under ObamaCare. Fight to protect the legacy of a Senator who saw past the pressures of his party to do what is right for the American people. And the legacy of millions of Americans with mental challenges who have benefitted from the Affordable Care Act and millions of others still yearning for that help and support. If mental health advocates care about achieving equity in behavioral health, then we must speak up and act now. Because if we don’t, I fear that a century from now we’ll still be fighting the never-ending battle for a more accessible, equitable and inclusive health system. SAN JUAN, Puerto Rico– Hurricane Maria killed far more people in Puerto Rico than initially thought, accounting for an estimated 2,975 deaths on the island from September 2017 through February 2018, according to a new analysis. The study found that those in low-income areas, and elderly men, were at greatest risk of dying. The independent analysis was commissioned by the governor of Puerto Rico and conducted by researchers at George Washington University’s Milken Institute School of Public Health. CBS News obtained a report on the findings from Carlos Mercader, executive director of the Puerto Rico Federal Affairs Administration. In the aftermath of the devastating storm, which barreled into Puerto Rico last September, Puerto Rico’s government initially reported 64 deaths blamed on the hurricane. Since then, several studies have indicated the actual death toll was much higher, though researchers have arrived at a range of different figures. The latest study says that from the period ranging from September to December 2017 alone, there were an excess of 2,098 deaths, and 2,975 from September 2017 to February 2018. The report, which analyzed processes related to death certification, says that physicians and forensic physicians are among those in Puerto Rico who are authorized to complete death certificates, but that most physicians have no formal training in how to do so. They are therefore unaware of “appropriate death certification practices, especially in a disaster setting,” the report found. “Those interviewed said they did not receive information about how to certify deaths during, or in conditions created by, a disaster,” the report says. “Many stated that the Puerto Rico Department of Health (DoH) and the Puerto Rico Department of Public Safety (DPS) did not notify them about the CDC special guidelines for correct documentation of cases, on the importance of correctly documenting deaths related to the hurricane or on an emergency protocol for handling these cases,” it says. ¿Qué es la diabetes y cómo se puede prevenir? Más de 30 millones de personas en los Estados Unidos tienen diabetes y su incidencia ha alcanzado proporciones epidémicas en la comunidad hispana. JAIME R. TORRES, Presidente de Latinos por Equidad en el Cuidado de Salud. La diabetes es una enfermedad en la que el nivel de glucosa sanguínea (también conocida como azúcar en la sangre) sube demasiado. Más de 30 millones de personas en los Estados Unidos tienen diabetes, y la mayoría de esas personas tienen el tipo 2. Antes, la diabetes tipo 2 era más común en las personas mayores de 45 años, pero ahora las personas más jóvenes, incluso los niños, tienen la enfermedad, debido a que muchos tienen sobrepeso o son obesos. La diabetes puede llevar a problemas tales como enfermedades del corazón, ataque al cerebro, pérdida de la visión, enfermedades de los riñones y daño a los nervios. Una de cada cuatro personas no sabe que tiene diabetes. Muchas personas logran evitar los problemas que la diabetes puede causar a largo plazo, tomando los cuidados adecuados. Colabore con su equipo de profesionales de la salud para lograr los niveles de glucosa sanguínea, presión arterial y colesterol indicados para usted. Se calcula que unas 84 millones de personas en los Estados Unidos mayores de 20 años tienen prediabetes. 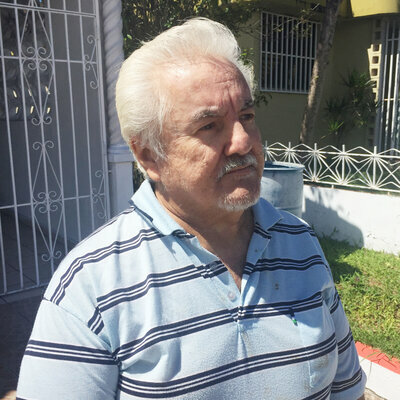 Por lo general, antes de desarrollar la diabetes tipo 2, las personas tienen “prediabetes”. Esto quiere decir tienen niveles de glucosa en la sangre más altos de lo normal, pero aún no lo suficientemente altos como para llamarse diabetes. Las personas con prediabetestienen más probabilidades de desarrollar diabetes dentro de 10 años y son más propensas a tener un ataque al corazón o al cerebro. Hacer por lo menos 30 minutos de actividad física de intensidad moderada cinco días a la semana. Comer una variedad de alimentos que sean bajos en grasa y reducir el número de calorías que consume por día. La diabetes es una enfermedad peligrosa pero no tiene por qué arrebatarle la vida a nuestros seres queridos. Con ayuda médica, y la cooperación de la familia usted puede garantizar que esa persona con diabetes que usted conoce, pueda –paso a paso — tener una muy buena y larga vida. 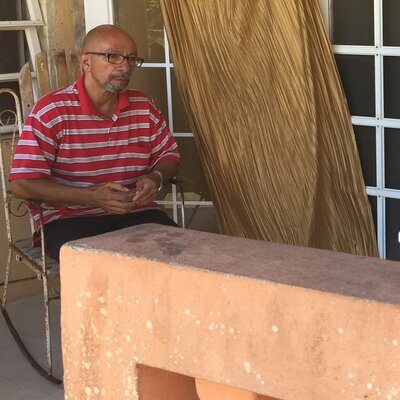 Dr. Jaime R Torres, es presidente de Latinos por Equidad en el Cuidado de Salud, una organización que trabaja para impulsar la equidad en salud en nuestro país. As much as we talk about “coordinated care” in health care today, it is regrettable that most people still contend with an uncoordinated, inefficient and stressful system at the end of life. Often, health care professionals are singularly focused on eliminating illness and find themselves ill-equipped to provide the comfort and guidance needed when a person’s illness requires care rather than, or in addition to, a cure. Families who don’t know that there’s an alternative stand helplessly by as the last months of life get swallowed up by costly, sometimes unnecessary treatments that can hurt more than they help. Health care consumers and policymakers must be aware that it doesn’t have to be this way. In an increasingly broken and fragmented health care system, hospice care – the nation’s first coordinated care model – shows how health care should and can work at its best for patients at the end of life. A grassroots movement that began over 50 years ago, the success of the hospice model led to its adaptation into Medicare in 1982 — a mere four years after it began as a demonstration program. Today, an estimated 1.7 million Americans receive hospice services each year, with 1.4 million Americans choosing to utilize hospice through their Medicare benefit. Expert medical care, pain management, emotional and spiritual support services are all provided and tailored to the patient’s and family’s needs. Hospice caregivers represent a comprehensive, interdisciplinary team of physicians, nurses, social workers, chaplains, volunteers and other professionals that ensures the patient is cared for beyond just his or her medical needs. Hospice respects the dignity of the patient’s life, honors his or her choices and provides a care plan reflective of a patient’s values. This philosophy of care is illustrative of hospice’s legacy and commitment to the best care for every hospice patient. It’s a system that thrives because hospice providers understand how to balance the patients’ wishes with their health care needs – and coordinate care accordingly. This investment in care actually saves Medicare money – by one estimate, as much as $2,300 per patient — not at the expense of the patients, but rather by allowing the patients and their caregivers to guide decisions that can reduce their use of hospital-based treatments, resulting in fewer complications and side effects. Despite more than 35 years’ success in the Medicare program, inevitable changes in our health care system could threaten hospice’s effective, original system of coordinated care. A rash or untested policy shift could lead to care delays, limitations on patients’ ability to select their preferred provider or a loss of autonomy for the hospice medical directors. Change is inevitable and can often be good, but it must be incremental change that does no harm and respects patient and caregiver choice for more, rather than less, options for addressing serious illness. While the goal of hospice care is not to save lives, it is still often called “lifesaving” by patients’ families. After experiencing the confusion and frustration of fragmented care, many are overwhelmed by the quality, compassion and personalized service that hospice care delivers. The hospice model exemplifies these principles of quality, compassionate and personalized care that beneficiaries, payers, policymakers and their constituencies want. No patient or family should suffer needlessly at the end of life – and that includes either physically or emotionally. America is getting older, but members of the hospice and palliative care community are prepared to meet the growing need for more hospice care. And we are ready to do so in a way that is driven by our patients and their families. Doing so demands that any health care reform allows hospice to continue to build on our successful foundation – and expand our patient and family-centered model across the care continuum. Protecting that continuity is essential to care for all patients with serious, advanced and life-limiting illness. Rather than just trying to make hospice more like the rest of the health care system, how about making the rest of the health care system more like the original coordinated care model? Coordinated care should be more than a popular health care buzzword. It should be the driving force for all health care everywhere – just as it currently is for hospice. It’s the model and philosophy that have driven hospice’s success and changed lives for the better. It is a model that we will continue to fight for and for policies that support peace, comfort and quality at the end of life.